I still find it incredible that this small winery in Sonoma Coast is owned by the grandson of the proprietors of Chateau Haut Brion, one of my favorite Bordeaux houses. Yet Nicholas Allen is making his own name in the wine world by concentrating on producing well-made, exciting offerings from California’s Sonoma Coast. With the help of winemaker Helen Keplinger, this 2014 Sonoma Coast Chardonnay has “brioche, pastry flour, and lemon curd that dominate the nose, with a touch of quince. 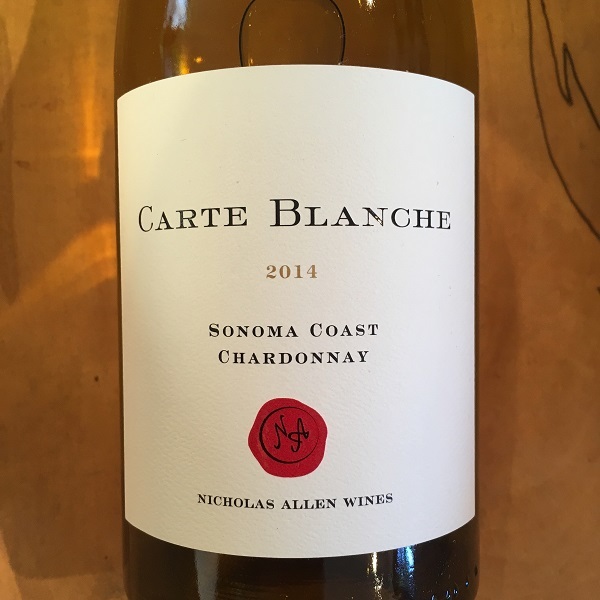 The silky entry glides across the palate, highlighted by lively acidity, and notes of Meyer lemon, hazelnut, piecrust and crushed oyster shell.” This 2014 comes entirely from Nobles Ranch Vineyard and totals 200 cases.